It is no secret that the United States is in a time of great division and polarization. Make America Dinner Again (MADA) brings contrasting viewpoints to the table, in an attempt to build understanding and move forward together. 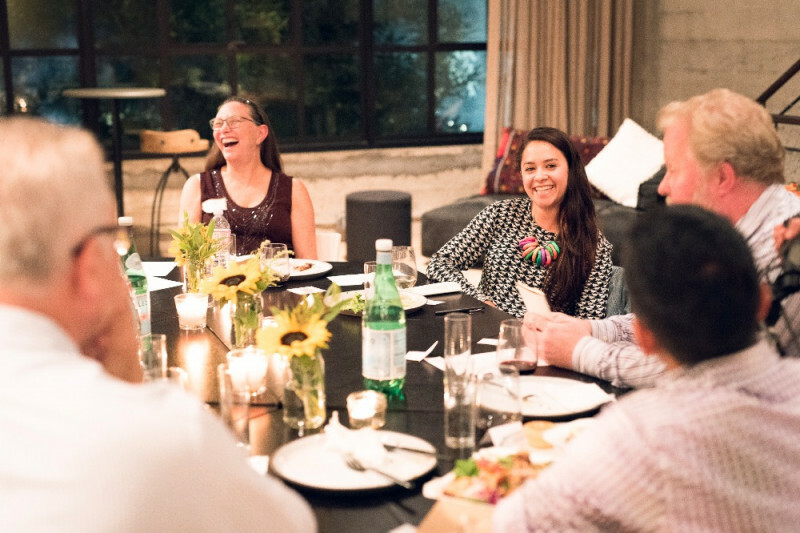 These small dinners consist of respectful conversation, guided activities, and delicious food shared among 6-10 guests who have differing political perspectives, and our country's best interests at heart. We've had close to 40 dinners across the country in 18 cities. That's already 400 seats at the table for different political perspectives, and there are thousands more signups of citizens who want to sit down with each other and build understanding. We just need the resources to keep holding dinners for them. 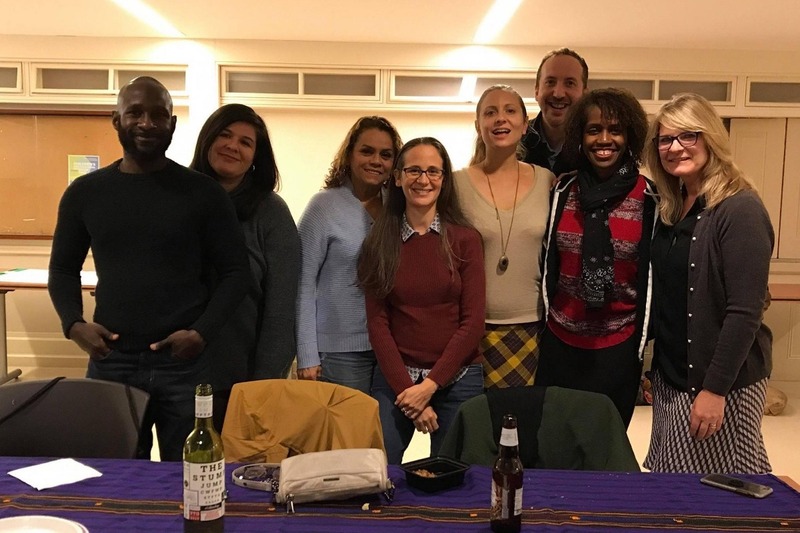 With your help, we can connect neighbors who may not be able to meet each other otherwise, and bring unity to America – one dinner at a time. All donations will go towards food, location fees, supplies, and spreading the word for these community dinners. 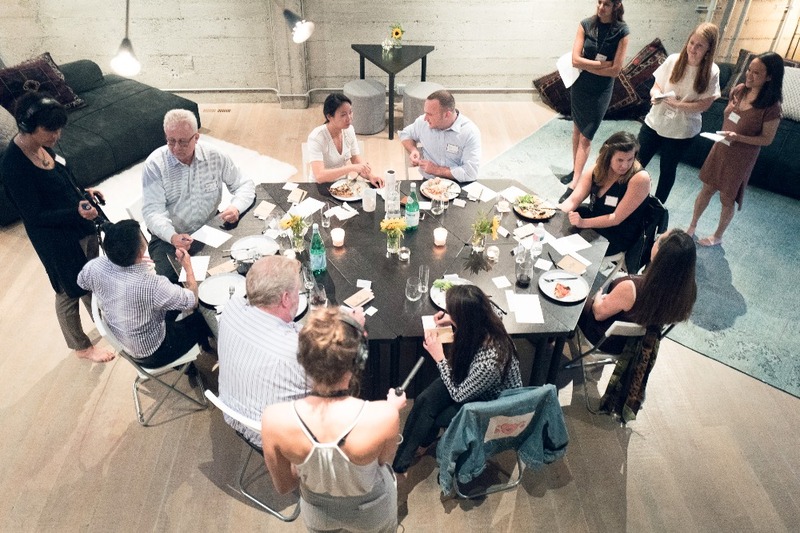 Sponsor an entire dinner for $250, or send even $5 to greatly help the cause – every bit will go towards making more of these conversations happen! Thanks to you all, it’s been quite an exciting and productive year! 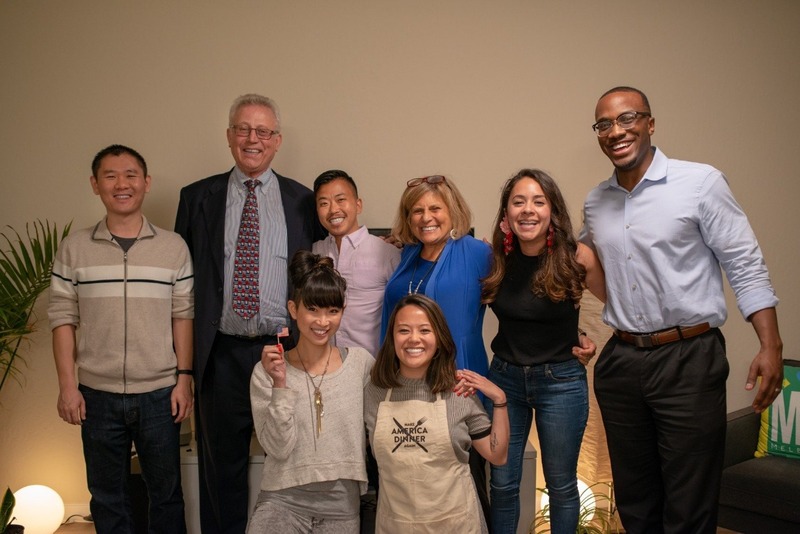 The funds we raised in 2018 brought 25+ more dinners happening across the country, in places like Seattle, Denver, Corvalis, New York, Dallas, Gainesville, and D.C.
Last year in San Francisco, we tried our first large format dinner, bringing together 30 people each with their own perspectives over a fantastic meal and conversation at 18 Reasons, a community cooking school. See photos here! We also held a dinner around Poverty and Inequality, in partnership with The Center for the Study of Liberty and America's Future Foundation. We were also honored to be named a finalist in the National category of the 2018 Civvy Awards. The best part of that experience was being in the company of so many great initiatives that are working to heal and strengthen the country. Justine and Tria are both freelancing now, allowing them more time to dedicate to MADA’s mission of building understanding across divisions. We’re excited this year to go to Austin for the first time, to speak at the SXSW conference! 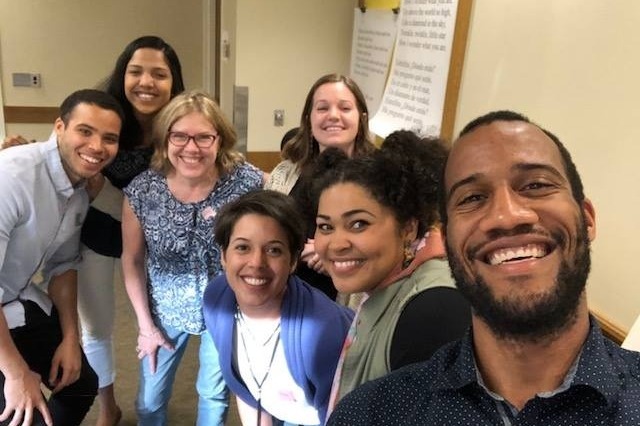 We’ll be leading a workshop with the goal to train other engaged citizens to organize and hold these important cross-aisle conversations, and will also host Austin’s first MADA dinner. We hope to raise $1,000 to help cover the cost of our trip and work in Austin, and thank you so much for your support! This is just the beginning of healing divides in 2019. This year, we're more grateful than ever, and it's all because of you. Justine and I started Make America Dinner Again a year ago with just an idea and a hope for better understanding. Since then, we've worked with our small team to hold 7 dinners in the Bay Area and New York, and have 9 more dinners on the calendar for D.C., Bethlehem, Wichita, Seattle, and the Bay – and this is all before February of 2018! In the meantime, we wish you a wonderful Thanksgiving, and thank you again, from the bottom of our hearts. 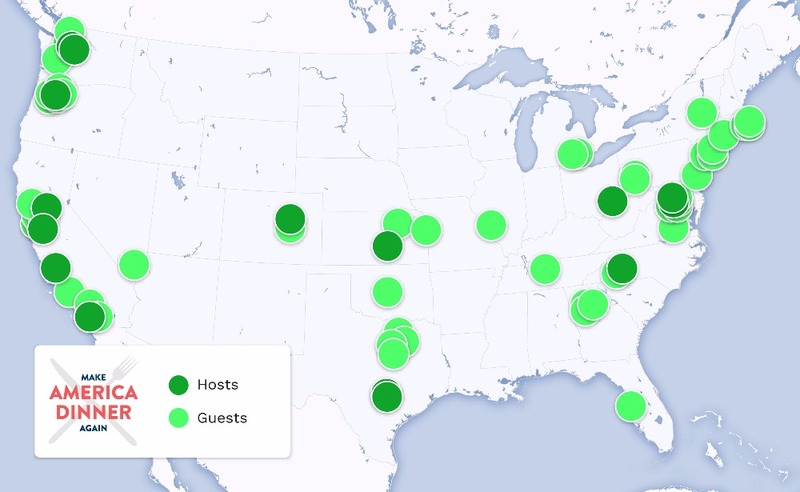 Wish you could host, but don't have time? Sponsor a dinner and we'll send you a writeup of the night, and fill you in via phone so you feel like you were there! 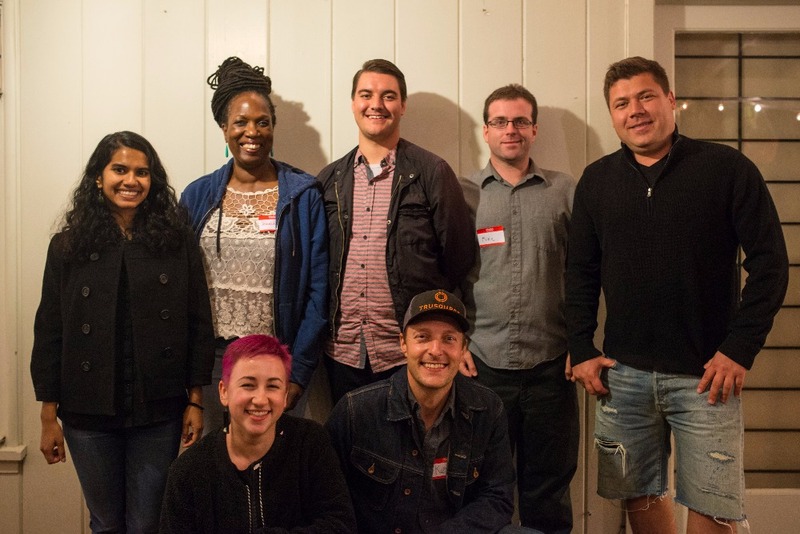 Sponsor a guest and we'll send you a full write-up of the night, complete with learnings, insights, & photos. And give you a shoutout on our website! With any donation of $5 or more, we'll give you a shoutout on our website and social media!